The first thought that comes to mind as one approaches the village of Barpak a month after the earthquake is that things don’t look as bad as portrayed in the media. The houses seem intact, collapsed roofs have been replaced with tarpaulin sheets, and there is no rubble. But that is only from a distance. Nearly all of Barpak’s 1,400 homes were destroyed in the quake: six of the seven schools collapsed. The VDC office, a health post, and the tourism centre were all leveled. A 130 kilowatt micro-hydro plant and a telecommunication tower were also damaged. Nothing much remains of this picturesque and prosperous hilltop town situated at 1,900m and commanding a sweeping view of mountains on the northern horizon. Gorkha’s ‘model village’ is now just an example of what being on top of the epicentre of a 7.8 quake can do to a settlement. The architect of Barpak’s past, and of its future, is Bir Bahadur Ghale, the visionary who has channeled the energy and international exposure of a town, made up mostly of families of Gurkha soldiers in the British and Indian Armies into development over the past 30 years. Ghale is now working with the Help Barpak team, a group of ex-Gurkha servicemen and entrepreneurs to steer reconstruction with earthquake resistant houses and schools that also reflect the village’s heritage. The quake also underlined the importance of open spaces, since ten people were killed in fires, during the earthquake, in the densely-packed town with narrow cobblestone alleys. “Keeping future disasters in mind, we want to have wider roads so rescue vehicles can reach any part of the town,” says Ghale, who also wants to revive tourism that used to be one of Barpak’s main sources of income after remittances. 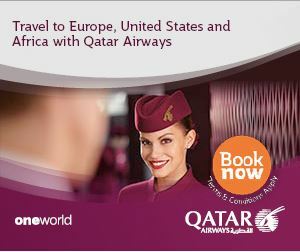 Nearly half of the village population works overseas, as soldiers in the British or Indian Army, or in Malaysia and the Gulf countries. Many have returned following the quake. Mukunda Ghale (‘Robin’) is a restaurant manager from Hong Kong who collected funds from friends and came to Barpak with relief material and rescue gear last week. The father of two led a volunteer initiative to clear ruins, clean the rivers and build temporary toilets. Barpak’s VDC secretary, Chep Prasad Amgain, believes having a large number of people return home from abroad has helped boost the morale of the local people, who used to be mostly made of women and the elderly. On Saturday 200 villagers gathered to clear debris of the village high school while the Nepal Army worked on building temporary classrooms next to it. The government has asked schools to restart classes from next week. Another priority will be to restart the Barpak Homestay program for trekkers led by a feisty Manus Ghale, which had just started to take off when the earthquake hit the village. Last year Barpak received 1,200 home stay guests. As the epicenter of the quake, Barpak has received immense attention from media, relief agencies and donors. There's no electricity but locals enjoy free wi-fi service provided by Worldlink. Two mobile charging stations have also been set up. Just this week, Barpak’s supporters in the United Sates helped acquire a temporary diesel generator that will provide three hours of electricity every evening. "It's important for the villagers to feel normal, to get connected to the outisde world and see that they are not the only ones affected by the quake," says Bir Bahadur. 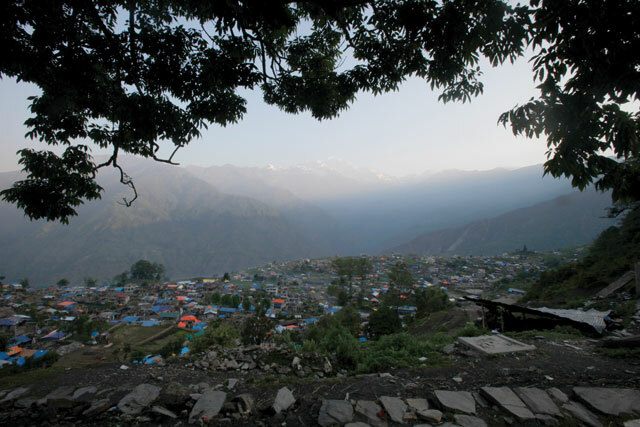 Barpak’s reputation for self-reliance has made many question whether the town really needs all the support it has been receiving. 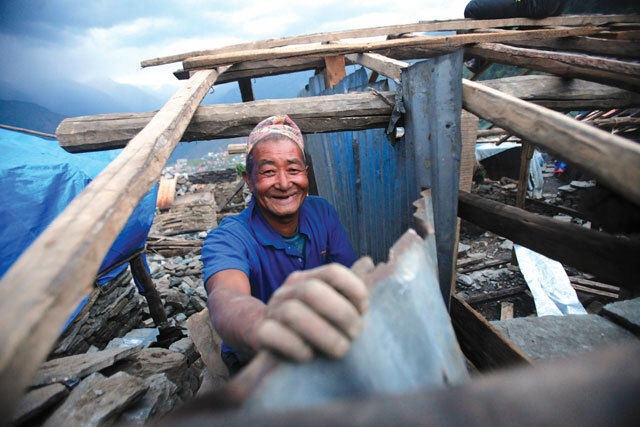 Retired British Gurkha officer Lok Bahadur Ghale, 60, who is heading Help Barpak, says: “It may look like the people of Barpak will be able to rebuild everything on their own but that is a misconception. We need all the help we can get.” Lok Bahadur’s own house was destroyed and he has been camping in a tent in his yard with his grandnieces, who have come from Doncaster to help. While some families have built temporary shelters, most are still sleeping in tents. Others are repairing damaged houses for lack of better alternatives and also because time is running out with fast approaching monsoon. When Bir Bahadur Ghale was studying in Grade Nine, he was recruited by a businessman to go to Hong Kong and bring back electronic goods – a lucrative trade in those days. As Ghale stood atop Victoria Hill, taking in the view of what was still a British colony, and looked down at the illuminated harbor and city, he was struck by the level of use of electricity. “Everything ran on electricity and I asked myself why our village couldn’t have power too,” says Ghale. After returning, Ghale graduated from high school and worked for a contractor, building a section of the Malekhu-Naubise highway. One evening, he noticed the lights kept flickering at a roadside eatery and asked the owner why that was happening. He was told it was because the electricity was supplied from a mill and the power went out when the mill was in operation. In 1987 Ghale returned to his village and wanted to install a micro-hydro plant, but villagers were skeptical. They didn’t believe a teenager could light up the village, which still used kerosene lanterns. But Ghale persevered and with a loan from the Agricultural Development Bank lit up the town in three years. The first houses to get electricity were in the Dalit neighbourhood. 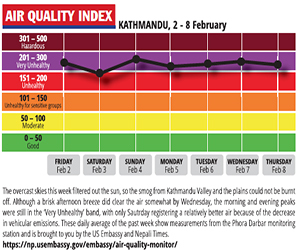 Soon, everybody in Barpak wanted lights. But Ghale didn’t want electricity to be used only for lighting, he encouraged locals to start new ventures that would make use of excess electricity in the daytime and Barpak got its own bakery, furniture shop, and even a cargo ropeway. In 2003 Ghale was made an Ashoka Fellow for his pioneering work with rural electrification. Today, Ghale’s company Hydro Energy has set up micro-hydro plants in Lamjung, Gorkha, Dhading, Kavre and Lalitpur. Barpak maybe known as “Laure Gaun” but unlike popular belief, not every family has a son enlisted in the British Army. 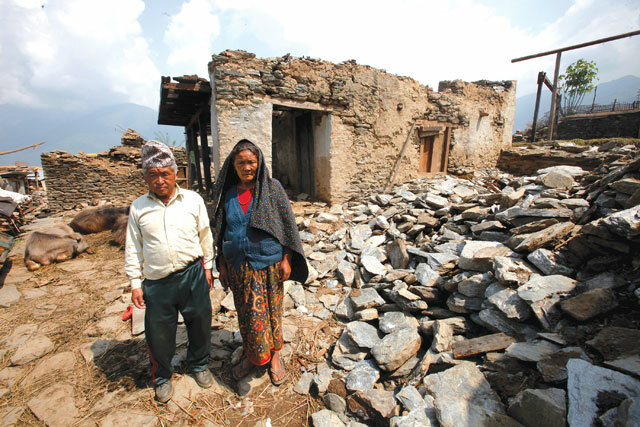 Dhanmaya Gurung, 59, and Amber Gurung, 62, (pic, above) lived on the produce of their small farm, which was destroyed along with their house in the quake. Three of their four children are students. Amber can’t work due to physical illness and Dhanmaya, who barely earned Rs 3000 a month labouring for other families, has been stripped of her income. The two don’t have zinc sheets to salvage from their old house to build a temporary shelter because they couldn't afford them in the first place. “We have no idea how to live our lives anymore. Every little thing that we owned was taken away,” says Dhanmaya while Amber looks at the rubble of their house. The Gurung couple and their children have been camping in a tent with 30 others. The village also has a sizeable Dalit community that remains isolated, ignored by other residents. 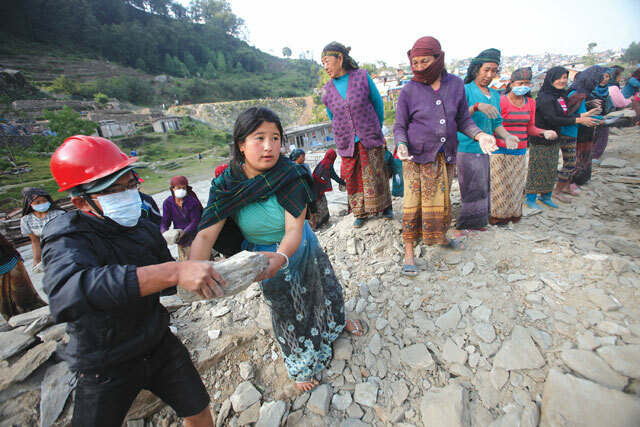 A relief worker, who has been stationed at Barpak for two weeks, admits locals put pressure on them to give first priority to the Gurung and Ghale families during relief distribution.